The proclamation of soccer can be the next big thing in the United States has been said seemingly forever, and it has never really gained any traction aside from a massive spike in interest every four years when World Cup fever sweeps the nation and the MLS fades back into its comfortable niche spot somewhere below the NHL and above the WNBA. So what makes this time any different? Maybe it won’t be, but the ingredients are there for MLS to achieve substantial and sustainable success, and the one of the biggest reasons this could happen is happening right here in New York City, oddly enough in the most iconic of cathedrals to America’s Pastime, Yankee Stadium. 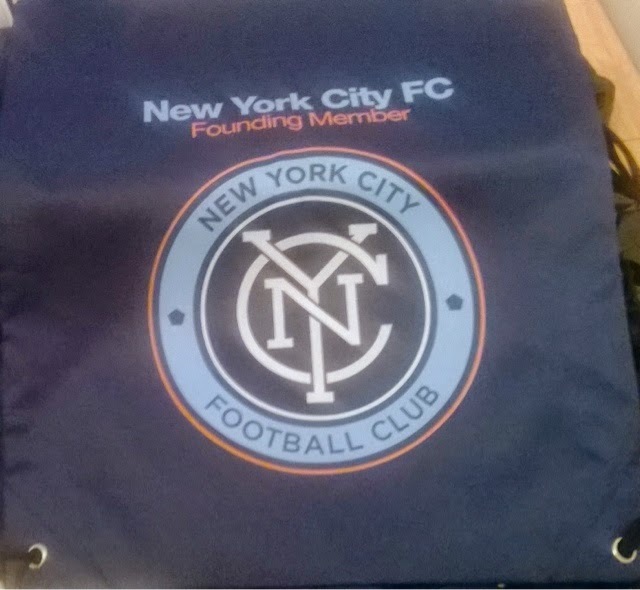 That is where in March 2015, New York City Football Club will begin its inaugural season. I have always been a believer in the theory that in order for a pro sports league to be successful, it needs a successful franchise in New York City, as it is the media capital of the entire world. New York City FC will undoubtedly be a major success as its principle owners are the highly successful Manchester City FC (with its worldwide soccer conglomerate of franchises in London, New York, Melbourne and Yokohama) and the New York Yankees; these are franchises that do not go into any venture to lose. Soccer is the top sport in almost every country around the world, except in the United States, it has always had a strong participation at the youth level, but as kids get older and those who want to become pro athletes chase the bright lights and massive paychecks of the NFL, NBA, MLB & NHL, and move away from soccer. This could start to change, as not only is the stature of the MLS grown slowly but steadily over time since its inception, while the Red Bulls have been around since the first season of the MLS, initially known as the MetroStars. The franchise never gained traction as it always had called New Jersey home, first playing games at Giants stadium, before moving over to Red Bull arena in Harrison, NJ. It was a franchise trying to claim a New York market, without having New York roots, at least the New York Giants and New York Jets had spent a substantial amount of time in New York City before moving out to the swamps of New Jersey. This will not be an issue for New York City FC, from Day One, with its battle cry of “Five Boroughs, One City”, it was clear that the suburbs were not going to be an option, while they are still seeking a permanent location for a soccer specific stadium, with locations in the Bronx near Yankee Stadium and in Queens by Aqueduct Racetrack being the most popular potential sites for the future home, with the influence of the New York Yankees and the combined financial power of the two parent clubs, it is a matter of when, not if this stadium gets built. Atmosphere- Let’s face it, except for momentary outburst of cheers or video board orchestrated chants, most live crowds are fairly passive, this will not be the case for New York City FC, as its Third Rail Supporters club is already thousands deep, and is an umbrella name for several sub groups such as Brown Bag SC, both of which will occupy the stands behind goal near the Left Field Bleachers, these groups will bring a game day atmosphere that will be unmatched anywhere, bringing from start to finish singing and chanting, bringing an uninitiated soccer fan to a live game to experience that live, will make a convert out of them. Global Market- New York is one of, if not the most international cities in the world, and what that means is there are thousands of people living here in this city whose favorite sport is soccer, and that fact was not lost on the NYC FC brass, who made it a priority to bring in major names from the two biggest soccer markets in the world, Frank Lampard, will be a player any fan of the Premiere League will recognize and then there is Davis Villa, a star any follower of La Liga will be familiar with, MLS teams are allowed three Designated Players and the third is expected to be someone from the U.S. National team, giving the team a familiar face from the world cup for fans to follow. Early Success- With just a fraction of a complete roster and no permanent home, the team has already sold over 10,000 season tickets. Several sections are completely sold out, with others close to being sold out. The team is yet to make its third designated player selection, and has a top two pick in several selection drafts. Previous Success- The original New York Cosmos, were a very big deal in New York, packing Giants stadium back in the day and winning NASL championships almost at will, there is no reason why a franchise backed by the biggest name in American sports and one of the biggest franchises in International soccer, cannot have the same or even greater success, star power and winning is what sells in New York, and this is a group that can provide both. Fan Base & Supporters Culture- Already galvanized and unified, this growing fan base has been in constant communication through social media andwww.nycfcforums.com , The Third Rail has a website as well as Facebook & Twitter pages as does Brown Bag SC and several other groups. Feel free to jump in and introduce yourself to the best fans in sports ( a vast majority who love your favorite teams too, be it Yankees, Mets, Giants, Jets, Knicks, Nets, Islanders, Devils or Rangers, these are fun loving, passionate and dedicated fans who love to talk sports and pretty much any other topic) The Third Rail will occupy two sections in the Left Field bleachers, and possibly expand to more if the membership grows, Brown Bag Social Club will mainly be in section 136, directly in front of The Third Rail’s main supporters section, Goodfellas BXFSC will be in section 234 and NYCFC Social Club will be in section 215. The Third Rail has also been used as a general name for the NYC FC fan base, so even if you are not a paying member of the Third Rail (annual membership fee’s go towards game day experience expenses such as TIFO’s, Member scarfs and other benefits) you are still welcomed as a Third Rail member. Here are some useful links to get caught up and participate. Community & Development- A major factor that could instill a brand loyalty to the team locally is how aggressive NYC FC has been in starting to build up connections to youth soccer groups and academies across the city, kids are already sporting official NYC FC Youth Development patches on their jersey sleeves and this is just the first step in the team starting its own youth academy, in which they will be able to develop talent from a young age in the “City Way”, a style of play that is universal across all branches of the City Football Groups teams, so when players are loaned from one team to another (another distinct advantage for MLS success) they will all be familiar with how they are expected to play and be comfortable in that style. Kids growing up in New York will see soccer as an equally viable future as following a path into the big four sports, they will have a brand attachment from a young age to the team, and they will most likely end up becoming fans of the team….or possibly players on the actual team. Unifying Factor- Lastly, there is no other team inside New York City competing in the MLS, as we have already established that the Red Bulls are a New York franchise in name only, and thus this can be a team the entire city can rally behind without the division of Mets/Yankees, Giants/Jets, Knicks/Nets or Rangers/Islanders, Long Island has the remade New York Cosmos who have found immediate on the field success in the new NASL, while it looks like they are still struggling to draw a decent crowd out at Hofstra, they are not direct competition, that would be like saying the Long Island Ducks are direct market competitors with the new York Yankees, it’s a completely different market. New York City FC offers us the chance to have at least one team everyone in the city can support. Five Boroughs – One City! Thank You for reading, I hope this little primer has at least made you curious about taking in just one game at Yankee Stadium in 2015, because once you go to one; you will want to come back for another.